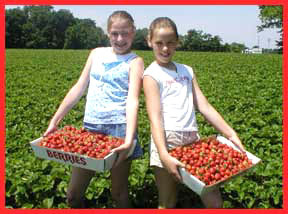 Any soil that grows good field or garden crops will also grow an abundance of strawberries. It may be sandy or even a heavy clay. Sandy loam is ideal. Plenty of organic matter in the soil is good for holding moisture. Poultry or barnyard manure is good, especially if applied a year in advance. Rolling land provides better air drainage and helps prevent frost injury. To help prevent erosion, plant on the contour in rolling land. Much hand weeding can be avoided if plants are set on land where weeds have not been allowed to make seed the previous year. The location of a berry patch should be changed every few years. The dangers of building up disease and insect population will be reduced by changing. Land to be used for a strawberry patch should be plowed or spaded in late winter or early spring to a depth of 7 or 8 inches. When dry enough to plant, disc or harrow soil until it is free from clods. This is not only a good planting practice but makes plant setting much easier. A good practice in preparing the soil for next year's crop of strawberries is to plow under a heavy growth of clover, sedan grass or soybeans to help increase organic matter. If poultry or stable manure is available to apply before sowing the green crop, so much the better. If manure is not available, your county agent can tell you the amount and type of fertilizer required for your type of soil. Do not use fertilizer on newly set plants. is critical. Plants will not live with roots exposed. 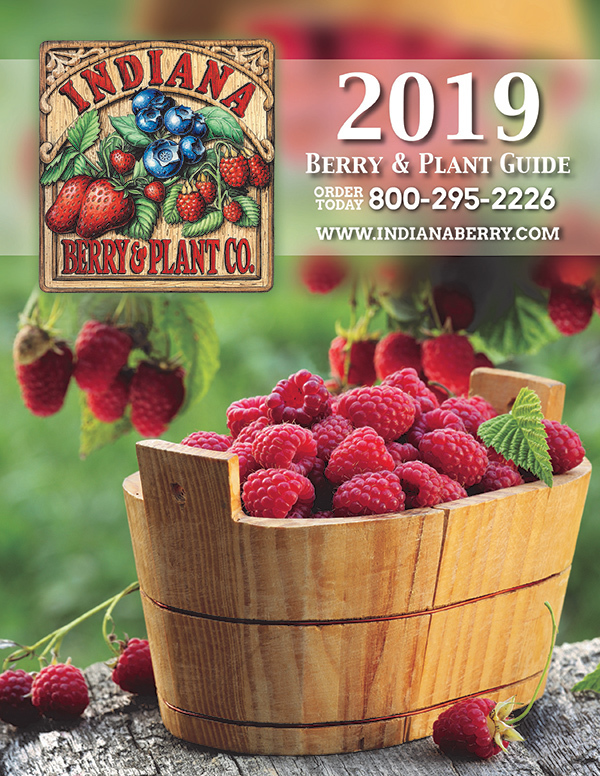 Much of your success in growing berries depends on how you handle your plants on arrival. They should be set promptly if at all possible. We pack them so they should reach you in good condition. DO NOT LET THEM DRY OUT. If you can't set them at once, small lots can be kept in good condition in the family refrigerator. Larger shipments can be kept in cold storage at about 32 degrees Fahrenheit if such storage is available. Or, they can be (heeled in) making a V-shaped trench about 4 to 5 inches deep. But this should be used only as a last resort due to the reoccurring shock the plants go through when removed from the soil for transplanting. Open the bundles, cover the roots thoroughly and keep moist until planted. DO NOT leave them in crates as they will heat up or dry out, and spoil. With proper use of irrigation planting well into June is possible. We have dormant cold storage plants. Cold storage plants have several advantages over fresh dug plants because they are dormant when dug and stay dormant until replanted--thus they can be shipped at any time. Cold storage plants that are dormant grow better than fresh spring dug because they stand the shock of transplanting better. Any method of planting which allows plant roots to go straight down and spreading dove-tail for increased feeding is preferred. Soil should be pressed firmly against the roots with the bud or crown of the plant just at the surface with no roots showing. If the crown is covered with soil the plant will eventually die. A garden trowel or an old bricklayer's trowel with the point cut off is a good tool to use for small plantings. If plant roots are too long to get down full length, they may be cut off to about 5 to 6 inches rather than doubling them up. We generally recommend planting strawberry plants 18-24 inches apart in rows 3 1/2 feet apart. This would require 6,225 plants per acre. If planted late they should be set closer to insure a good fruiting row. Always water plants well after or during transplanting, regardless of the planting date. In the first year's growth, pinch off the blooms to encourage runners. Early set runners produce the most berries in the following Spring. In the Fall, when rows are 14 to 16 inches wide and plants are evenly distributed about 4 inches apart, it is a good practice to prevent late runners from setting by raking crosswise and lengthwise after each rain. In a small patch this can be done with a garden rake or a potato digging hook. If plants are too thick in the row, the yields will be cut. The use of a raised bed of 4 inches or more will air drainage and prevent root diseases. Now it is practice to use 36 inch row spacing on many new fruit beds with a 12 inch spacing within the row to get early set daughter plants. By using a hoe and placing the first 3 runners in each direction from the mother plant, we can then follow with the multivator with the side and top shield off and allow the light rain of soil to hold the runners in place until rooting occurs. After the desired number of plants have rooted, we then go through the multivator set up to just clip off the newly emerging runners so the rows do not get too wide or thick with daughter plants. 1) Start off with clean well-worked soil. 2) Keep ahead of weeds. Cultivate and hoe when weeds are small. 3) Contact your local county agent about approved herbicides. 4) Use a heavy straw mulch in the winter, pull off into an aisle in the spring. Mulching is necessary for winter protection of your plants. In case of sudden cold temperatures, the crowns and roots may be damaged. Mulch will keep the temperatures at ground level from dropping suddenly. Mulch also conserves moisture in the Spring, delays flowering, makes for better picking conditions and reduces rot on the berries. Weed Control: Annual broadleaf weeds can be controlled with 2,4-D alkanolamine salts immediately after harvest. Be extremely careful to avoid drift when applying 2,4-D. If grasses are a problem, Poast will control annual and some perennial grasses. See ID 169 and the product label for rates and especially for precautions. Do not tank mix Poast and 2,4-D.
Fertilize the Planting: A soil test will help determine phosphorus and potassium needs, but foliar analysis is a more reliable measure of plant nutrition. It is more efficient to apply nitrogen in small increments at regular intervals through the season. Mowing: Mow the old leaves off 3-5 days after 2,4-D application just above the crowns. Do not mow so low as to damage the crowns. Subsoil: Where picker traffic has been, heavy soil compaction may be severe. Subsoiling between rows will help to break up compacted layers and provide better infiltration of water. Narrow Rows: Reduce width of rows to a manageable width based on your row spacing, the aisle width desired, and the earliness of renovation. 12-18 inches is desirable, to as little as 6 inches. Use a tiller to achieve the reduction. Narrow rows are superior to wide rows. Narrow rows will give better sunlight penetration, better disease control, and better fruit quality. Thin Plants: Plants should not be too dense within the row. A final density of 5 plants per square foot is optimum, so plants are about 5-6" apart. Cultivate: Work in straw between rows and throw a small amount of soil over row. Strawberry crowns continue development at the top, and new roots are initiated. Additional soil should be added to facilitate rooting. 1/2 to 1" of soil is sufficient. This also helps to cover straw in the row and provide a good rooting medium for the new runner plants. Do not completely cover the crowns with soil. Weed Control: Preemergence weed control should begin immediately for commercial growers. 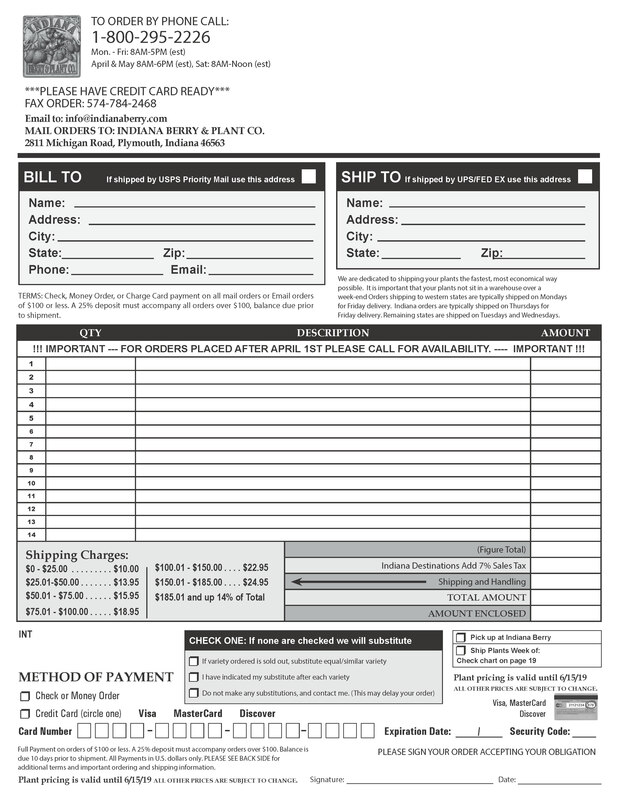 See ID 169 from Purdue University. Check the product labels carefully. Irrigate: Water is needed for both activation of herbicides and for plant growth. Do not let plants go into stress. Ideally see that planting receives 1 to 1-1/2 inches of water per week from either rain or irrigation. Cultivate: Cultivate to sweep runners into the row until plant stand is sufficient. Thereafter, or in any case after September, any thinner plant not yet rooted is a weed and should be removed. Order early, some supplies are limited. For the small garden, order 7 plants for each 10 feet of row.